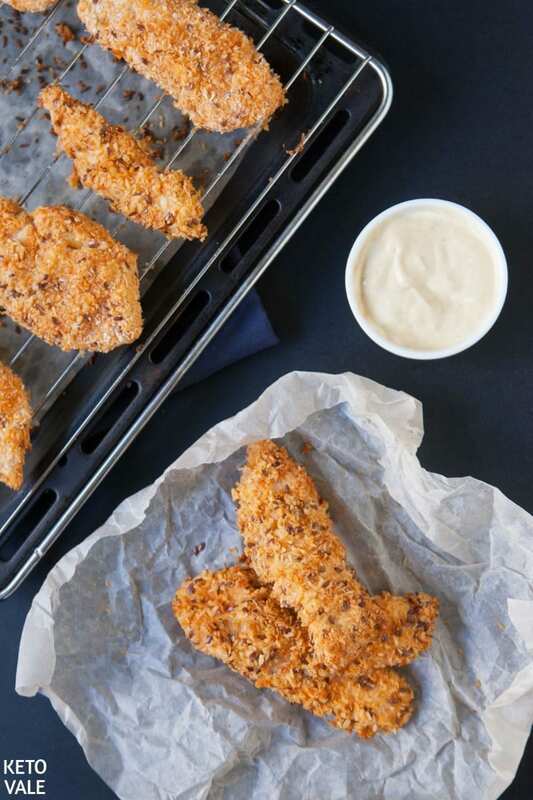 Who doesn’t love some crispy chicken tenders? 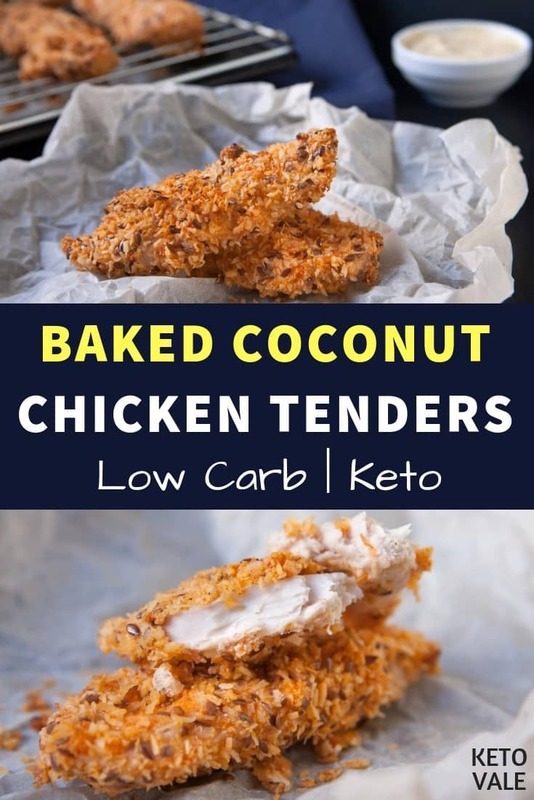 This recipe uses coconut and flaxseeds to make the breading tasty and keto-friendly. These coconut chicken tenders have all the protein, fats and fiber you need. We added flaxseeds to make the dish even more nutritious, crunchy and flavorful. You can learn more about the health benefits of flaxseeds here! Coconut is considered one of the best keto products, it has a delicate taste and aroma, and also consists only of healthy fats such as MCTs. We use both coconut flour and coconut flakes as keto substitutes for breadcrumbs. Also, using cayenne pepper to add spiciness to the food, and also to increase your metabolism and kill pathogens. You can also add other herbs and seasonings that you like. You can experiment with different dipping sauces. You can prepare a cheese sauce, mayonnaise, or ketchup. This dish will be a great snack or a full meal. This meal can be a treat for your family and friends. 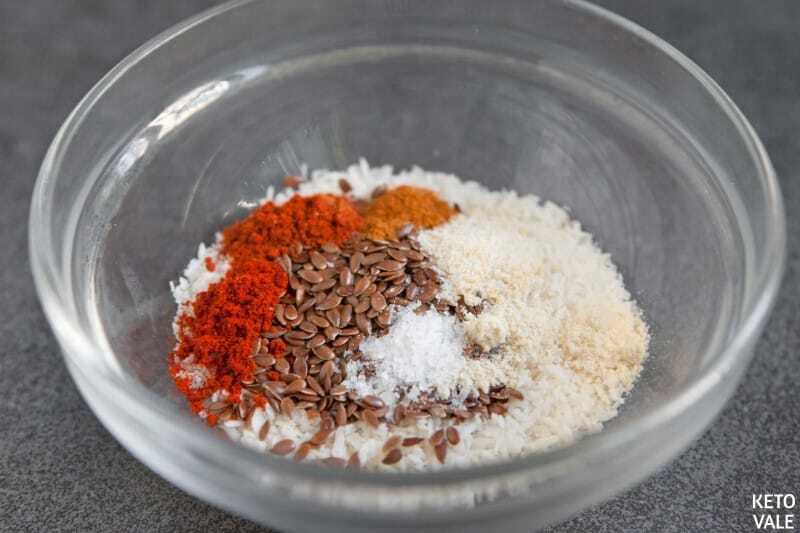 Combine flaxseeds, coconut flakes, onion powder, garlic powder, cayenne pepper, paprika, and salt in a bowl. This will be your breadcrumbs. Cut chicken breast into finger-sized pieces. Rub salt and pepper on each piece of meat. Prepare a baking tray. Place a baking rack on it. Make sure to grease the rack with olive oil. 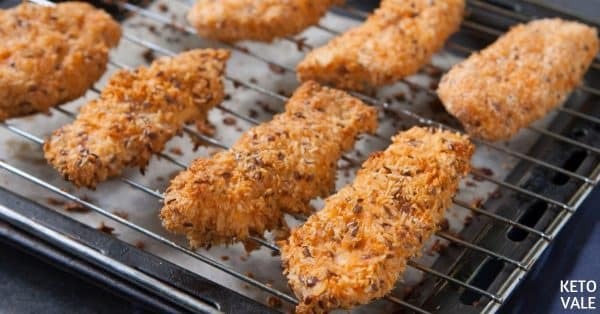 Coat chicken fingers in coconut flour, then dip in eggs, and finally coat it in the seasoned coconut flakes-flax seeds mixture. Place coated chicken on the rack. Bake for 20 minutes. In a bowl, combine coconut flakes, flaxseeds, garlic powder, onion powder, sweet and smoked paprika, cayenne pepper and salt. In another bowl, add coconut flour in. In the third bowl, add beaten eggs in. 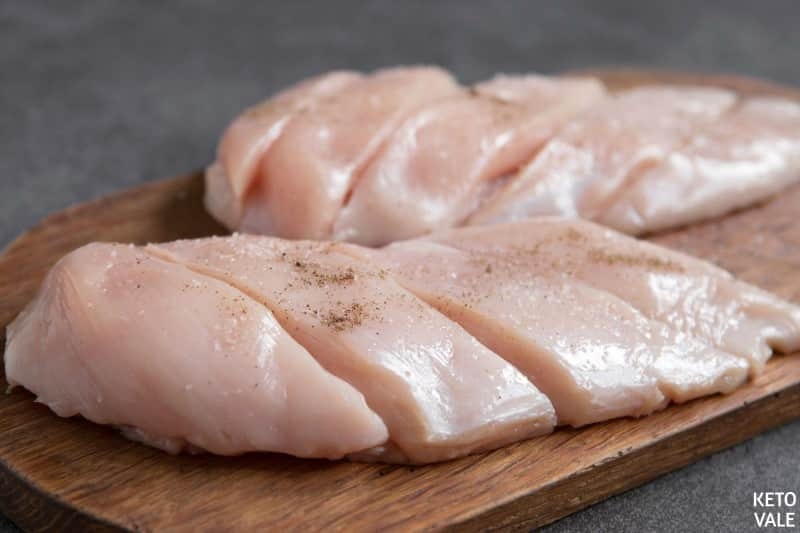 Cut chicken breasts into small pieces lengthwise (we made 8 pieces) and season with salt and pepper. Place a rack on a baking tray and brush the rack with olive oil. 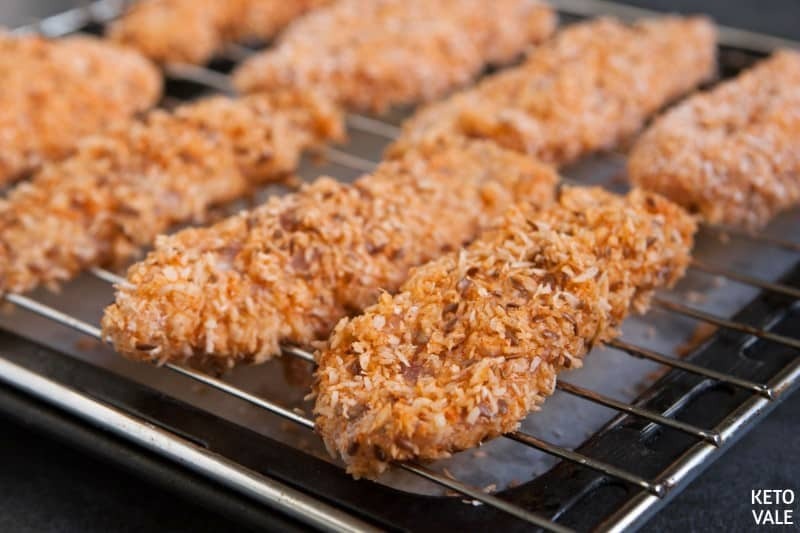 Crumb chicken in coconut flour, then dip in beaten eggs, crumb in seasoned coconut flakes and transfer to the rack. Bake for 20 minutes. We made 8 pcs, serving size is 2 pcs.